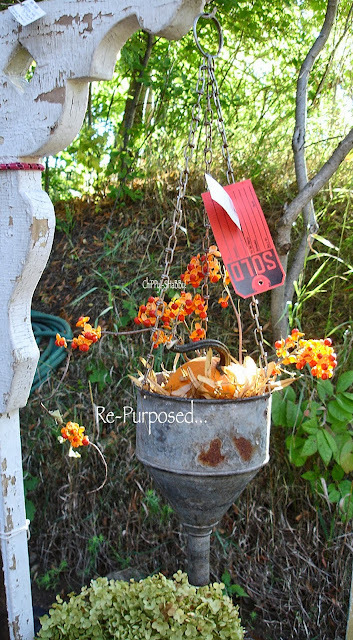 Soooooo Much Work Goes On "Behind The Scenes"
But It's NOTHING without Y*O*U!!! Non-Stop Crowd ALL DAY LONG ~ And they were Buying!*!*! One of My FaVoRite Vignettes!!! 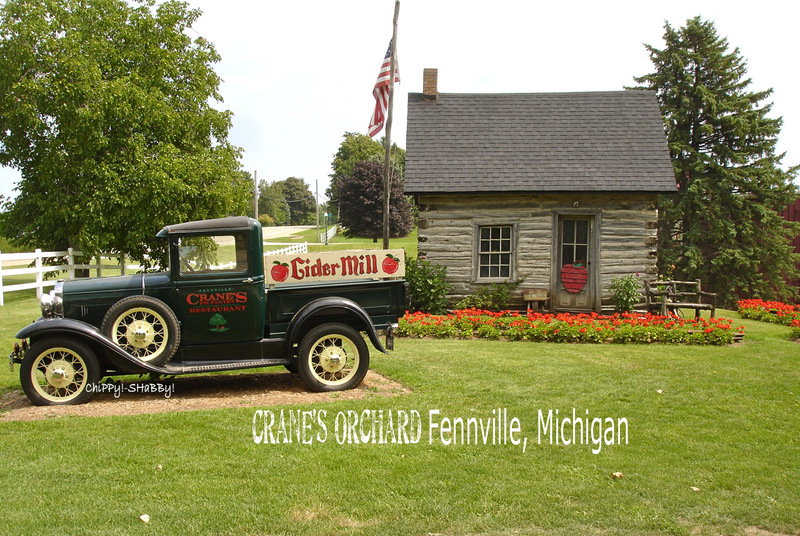 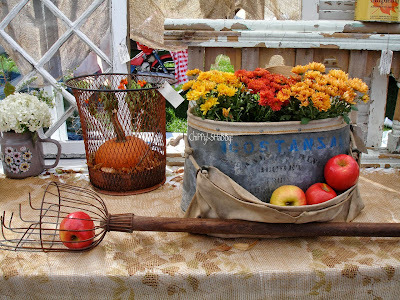 & Apple Picker on Pole!*!*! 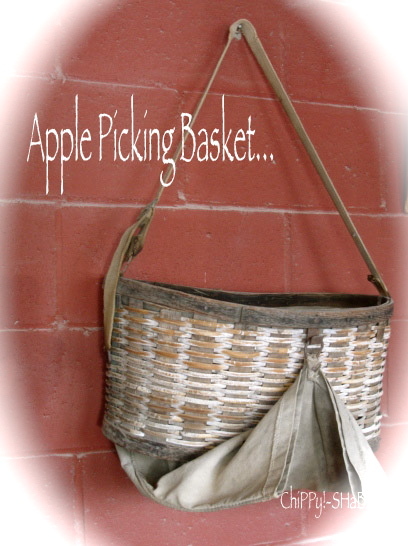 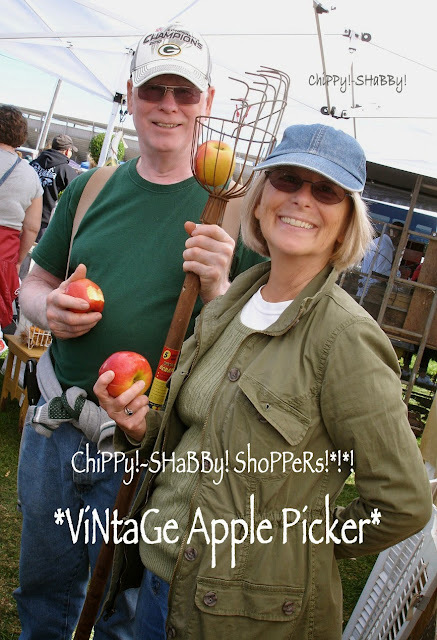 Proud New Owners of this Apple Picker!!! netted some FaB ViNtaGe Finds!*!*! 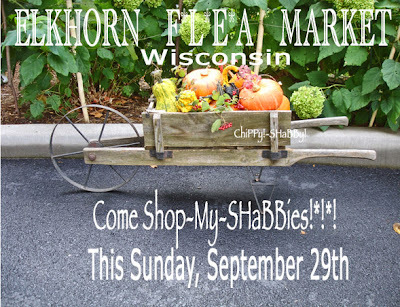 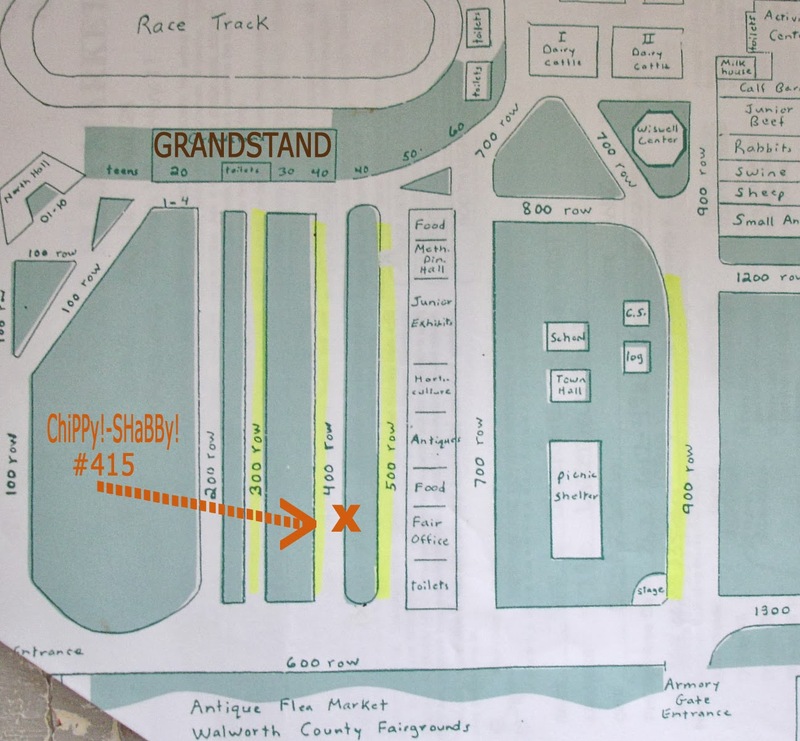 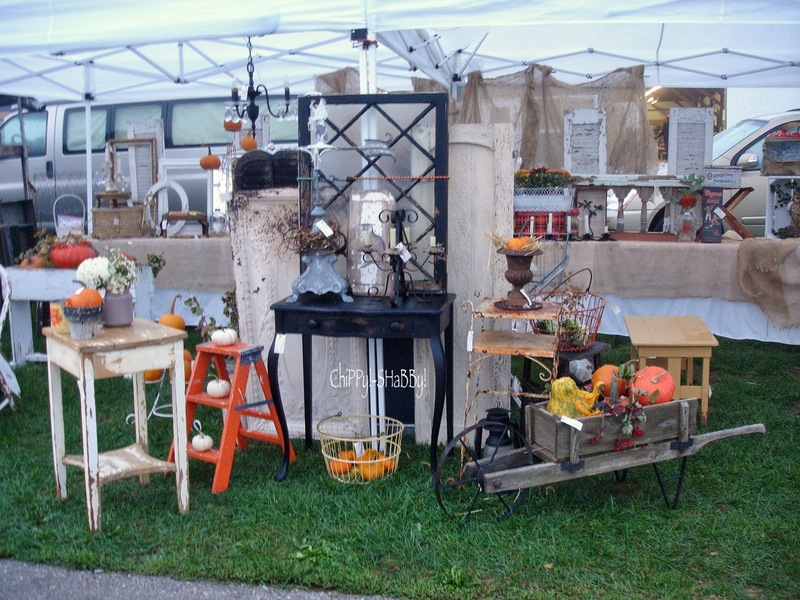 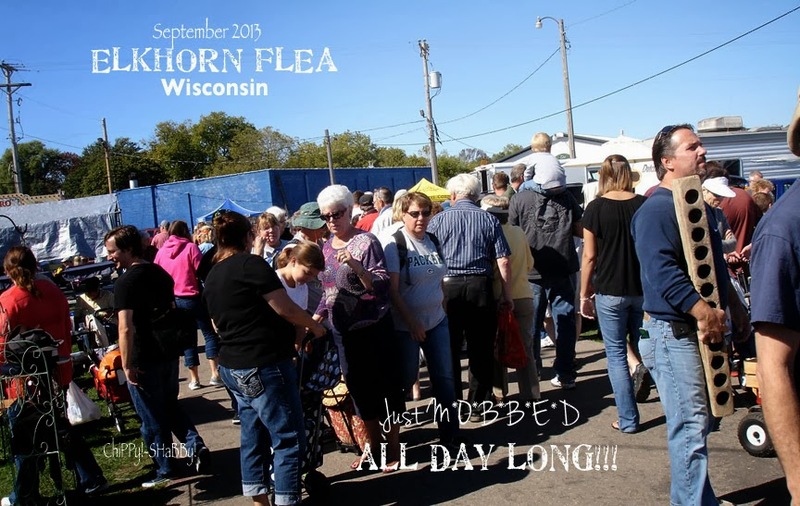 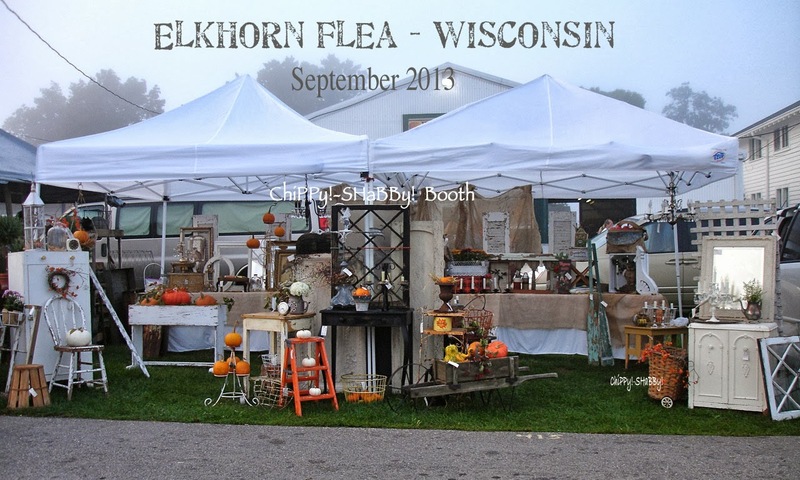 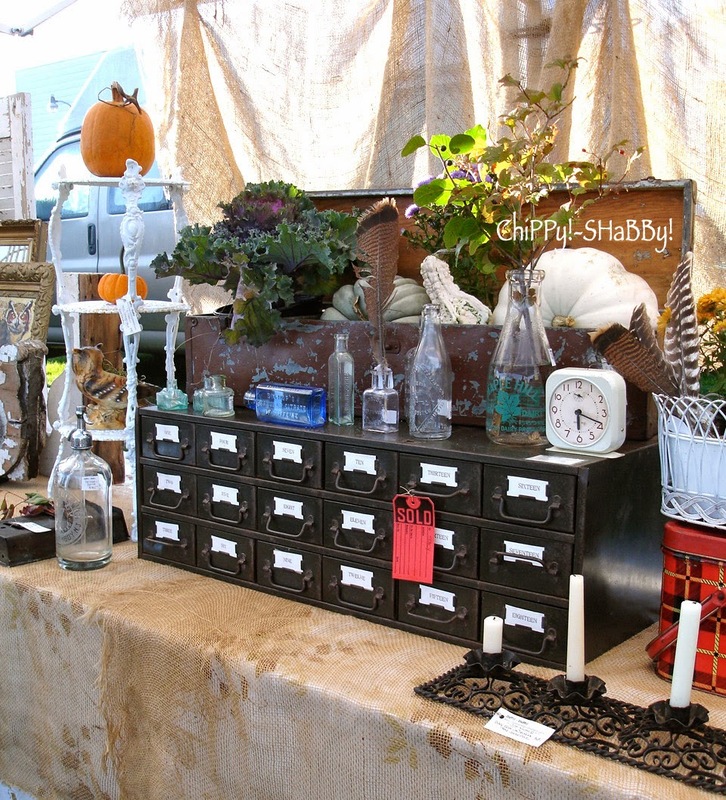 LAST FLEA OF THE 2013 SEASON!*!*! 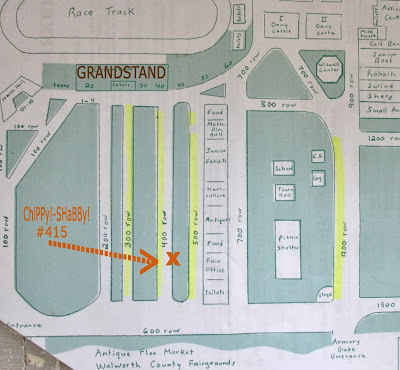 "Back to Back" from where I was!!! 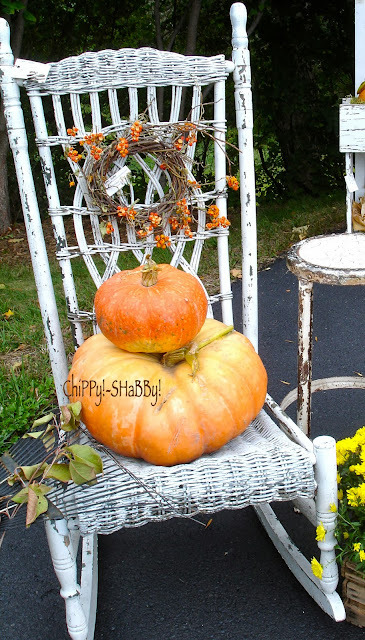 good number of you as well!*!*! 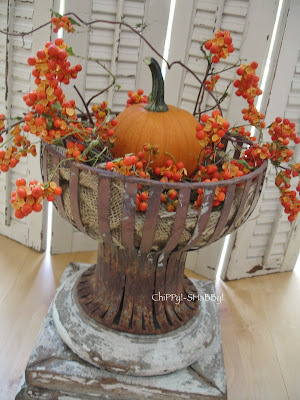 same containers using HoLiday Greens etc.!*!*! 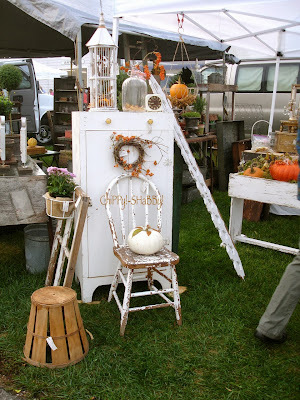 on this ViNtaGe White Rocker!*!*! 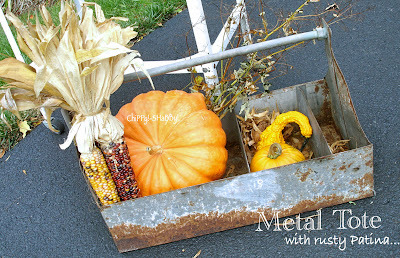 FaB PaTiNa on this Large Metal Tote!*!*! 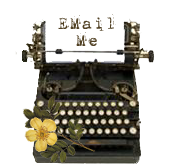 I'll be posting MORE DETAILS - Soon! 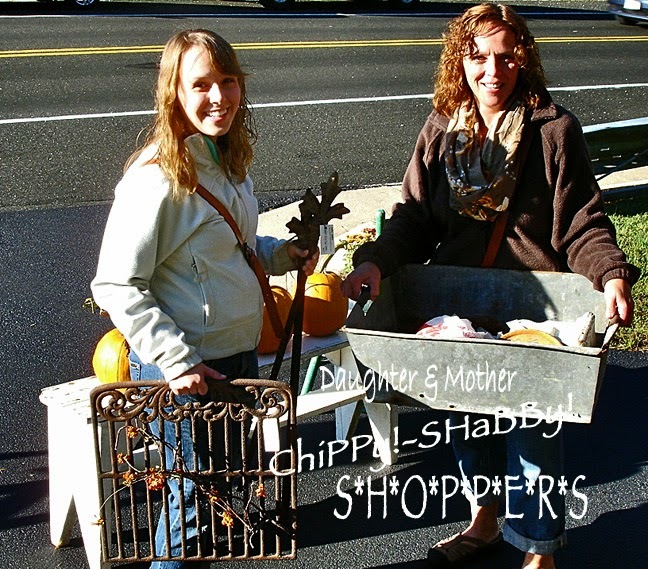 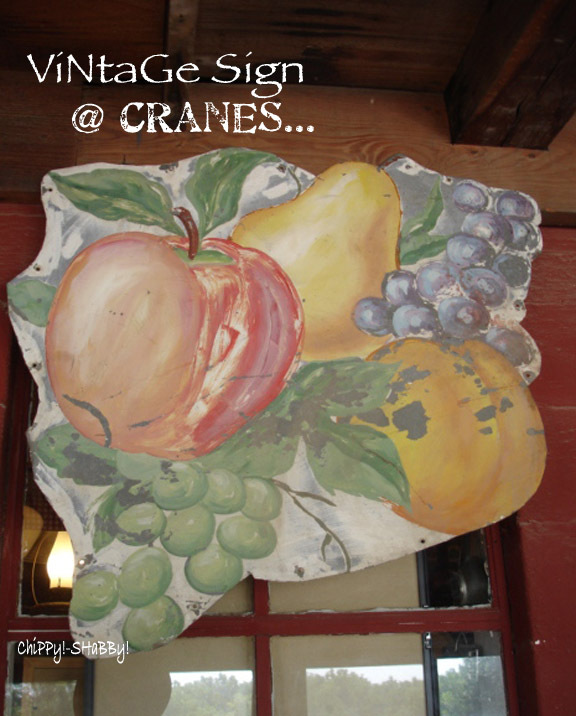 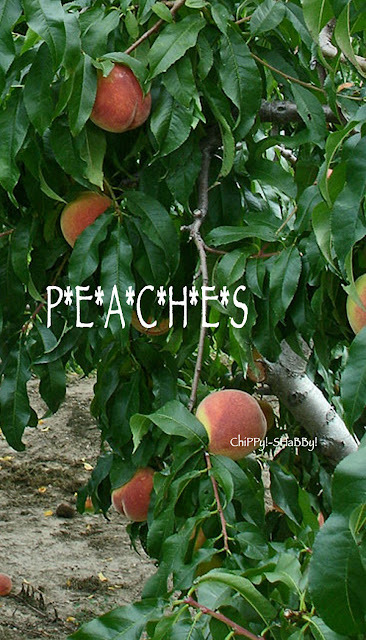 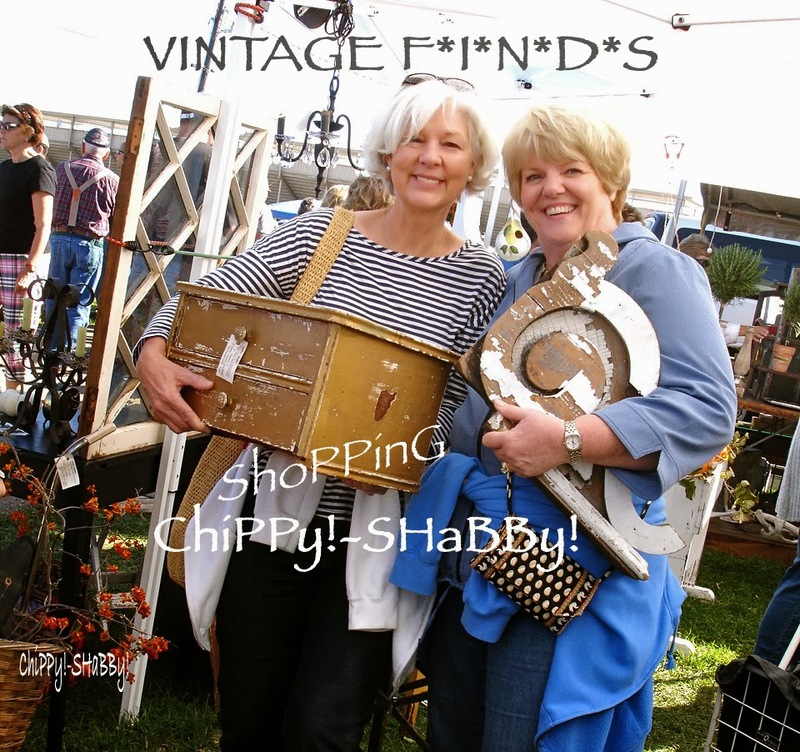 One-Of-A-Kind ViNtaGe F*A*L*L Adornments @ ChiPPy!-SHaBBy's! 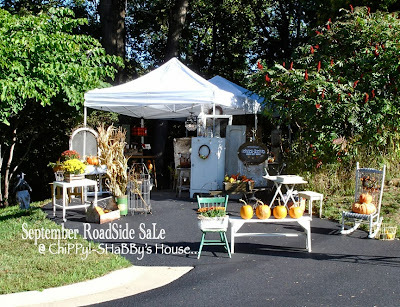 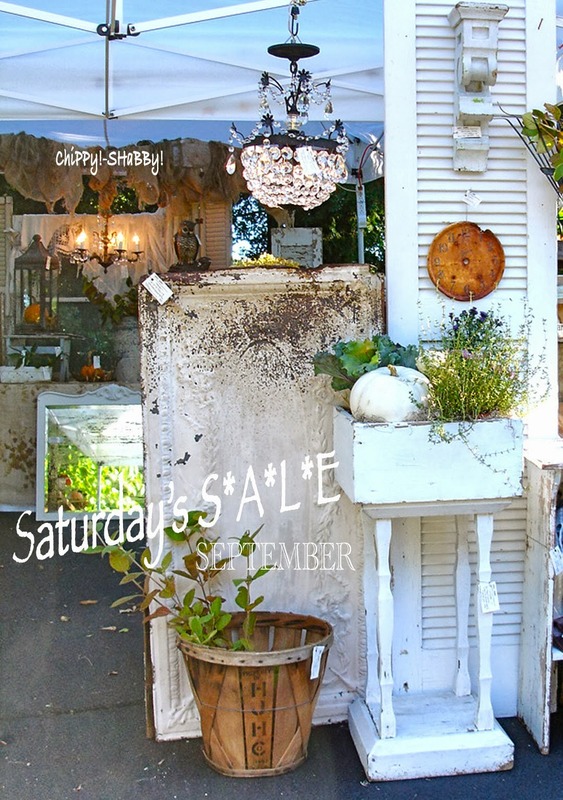 SaLe THIS SATURDAY!!! 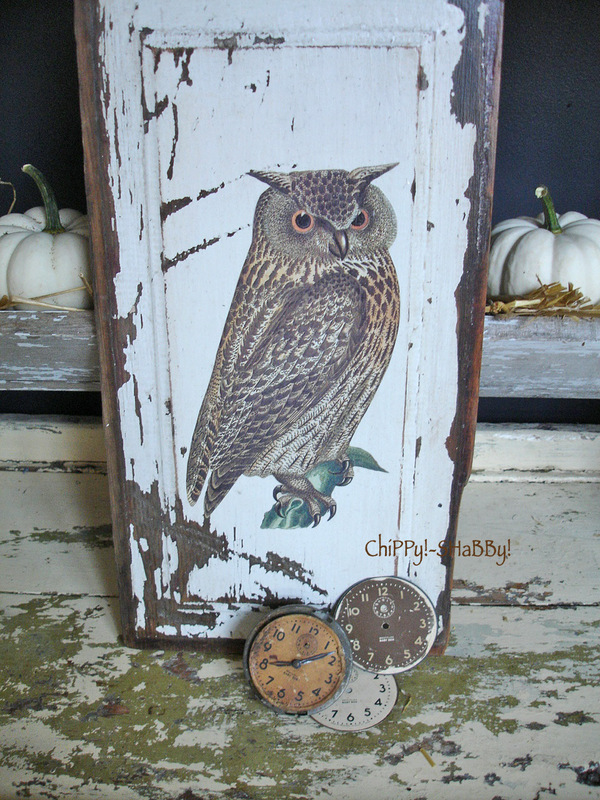 All with a Natural Time~Worn PaTiNa!*!*! 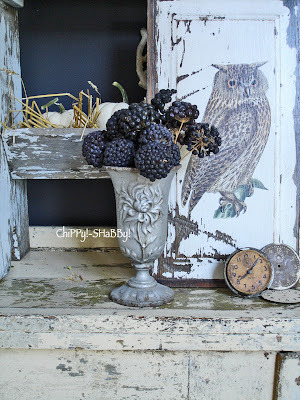 ViNtaGe ~ So Much More Interesting than Brand New!*!*! 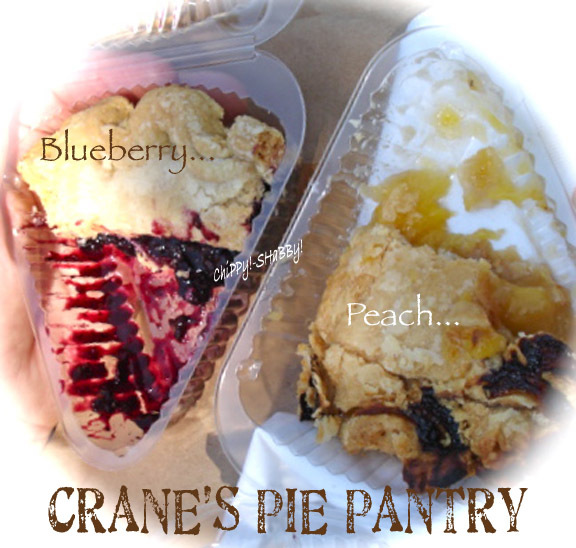 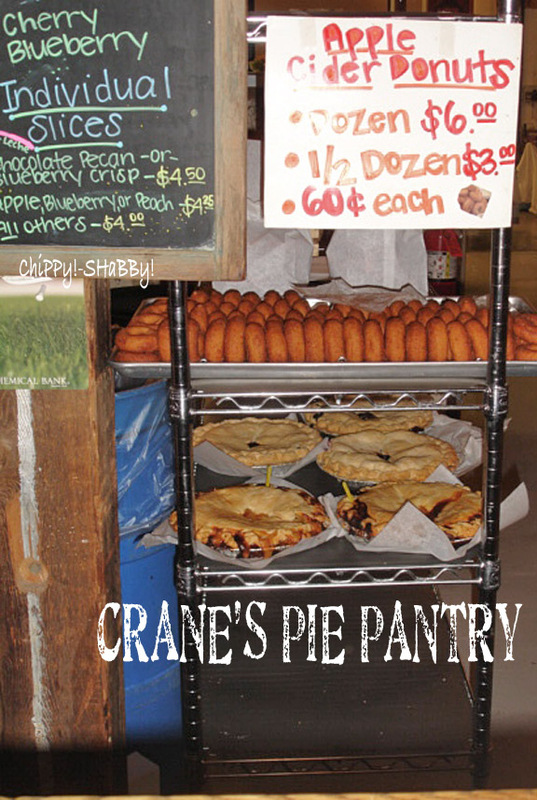 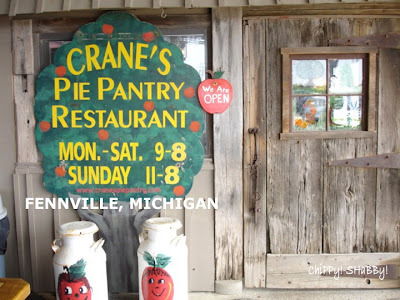 Just one mile from our home!*!*! 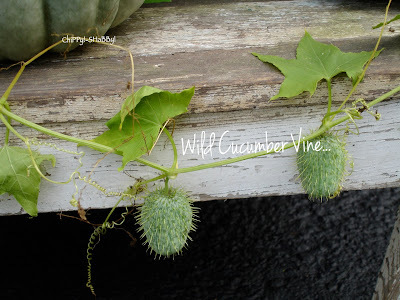 The BitterSweet ViNe is Coming Out!*!*! 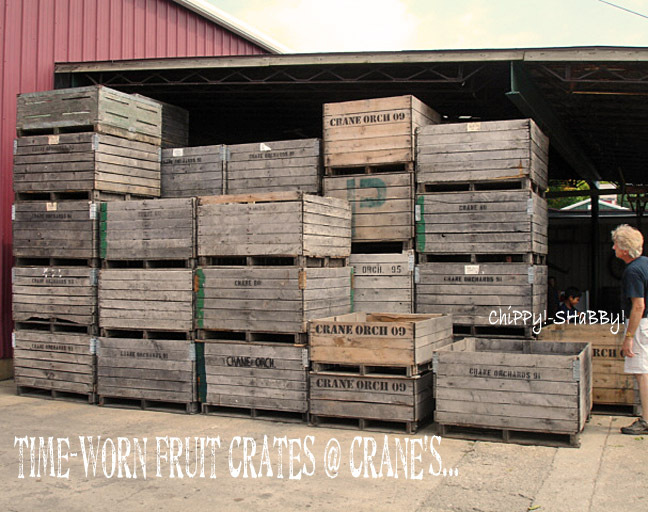 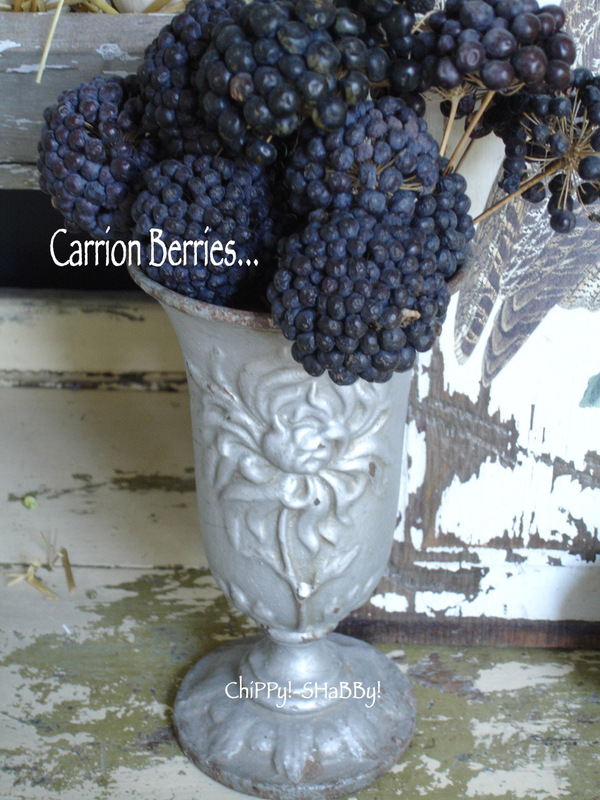 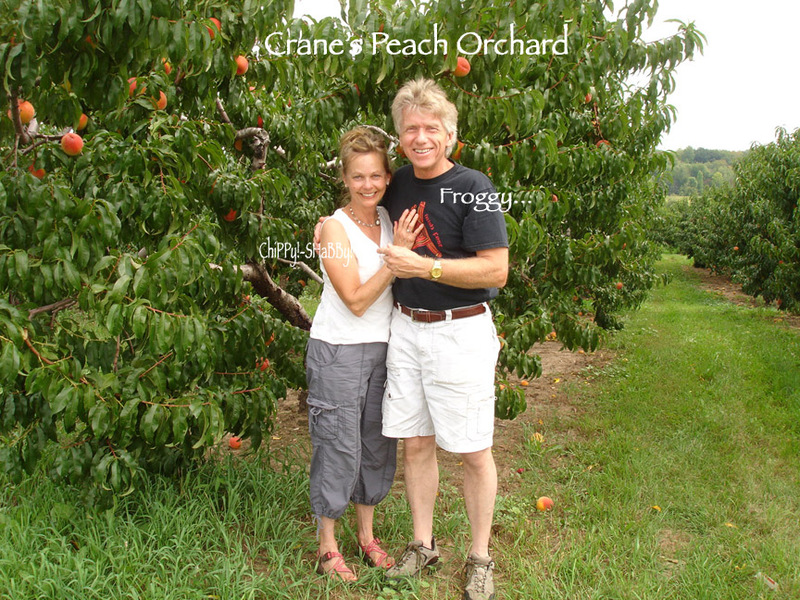 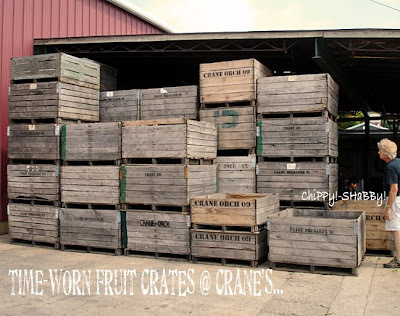 My friend Sue has The BeSt BITTERSWEET Berry Vines ON-THE-PLANET!*!*! 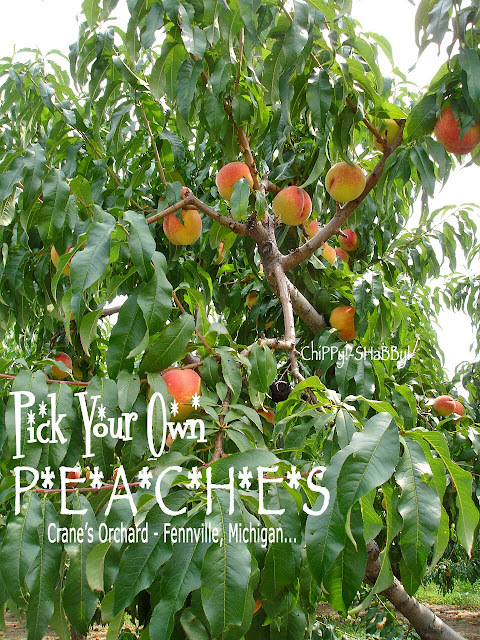 There are so many varieties out there ~ and her's are definitely a ten in my book!!! 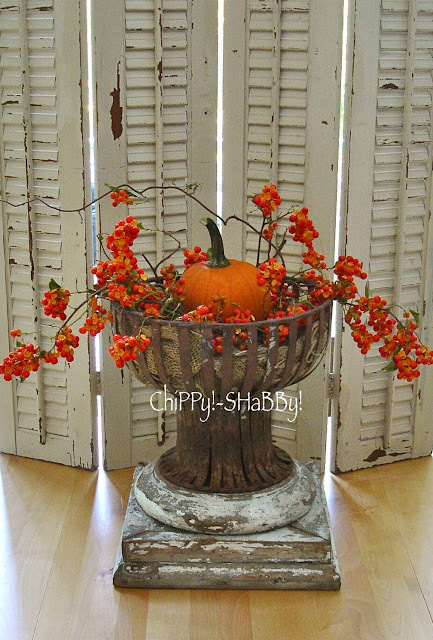 Orange Berries on the Vine!*!*! Just "Heaped" with BitterSweet Berries!*!*! Can't wait to visit again!*!*! 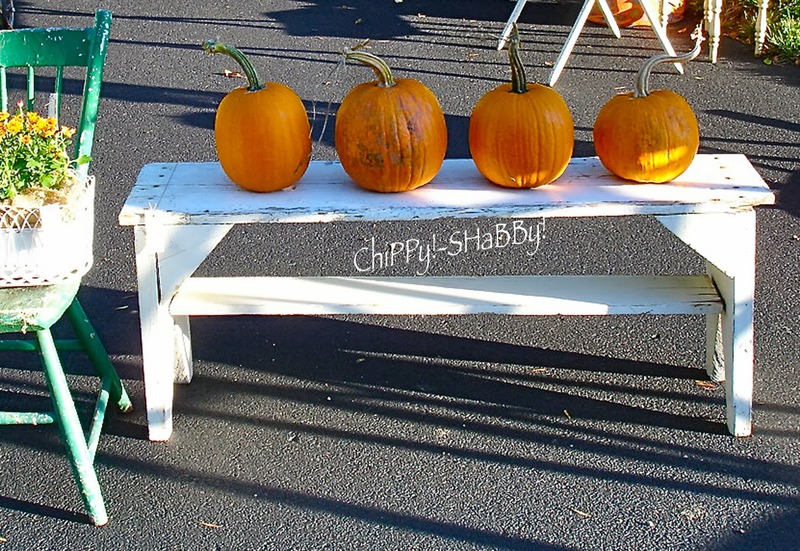 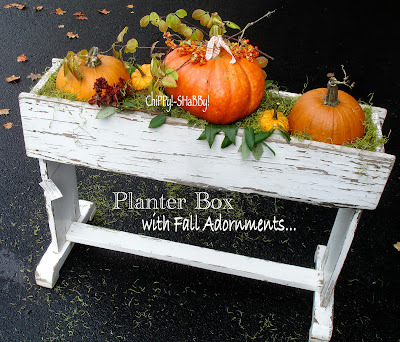 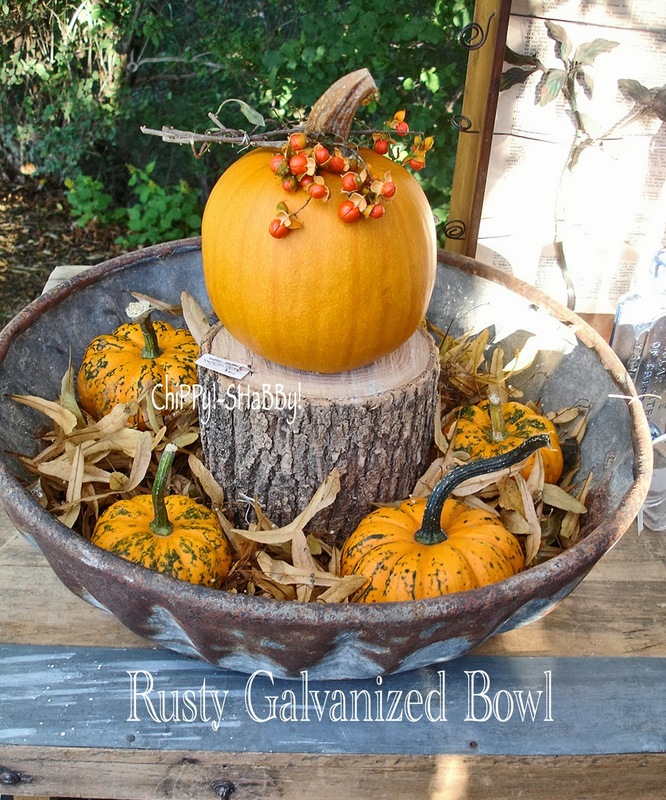 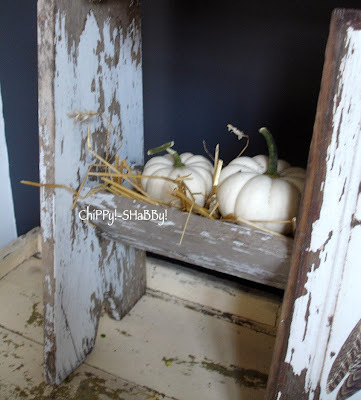 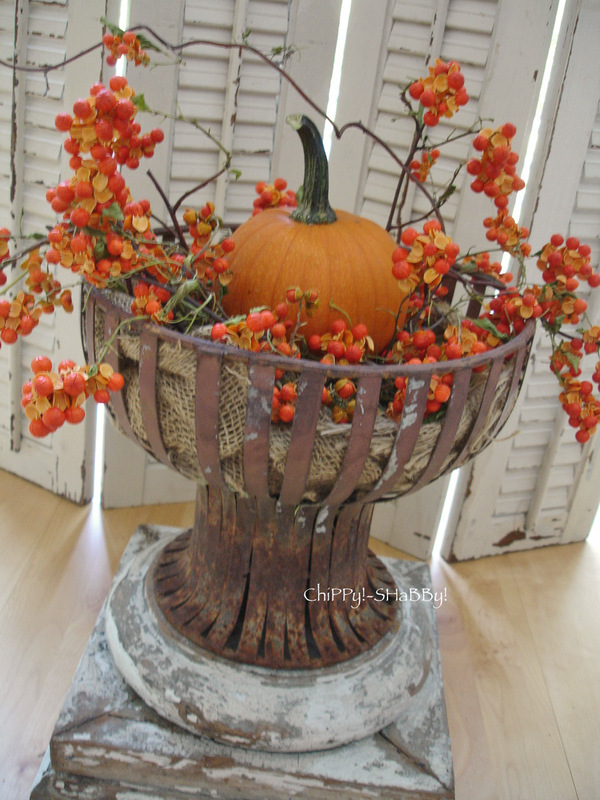 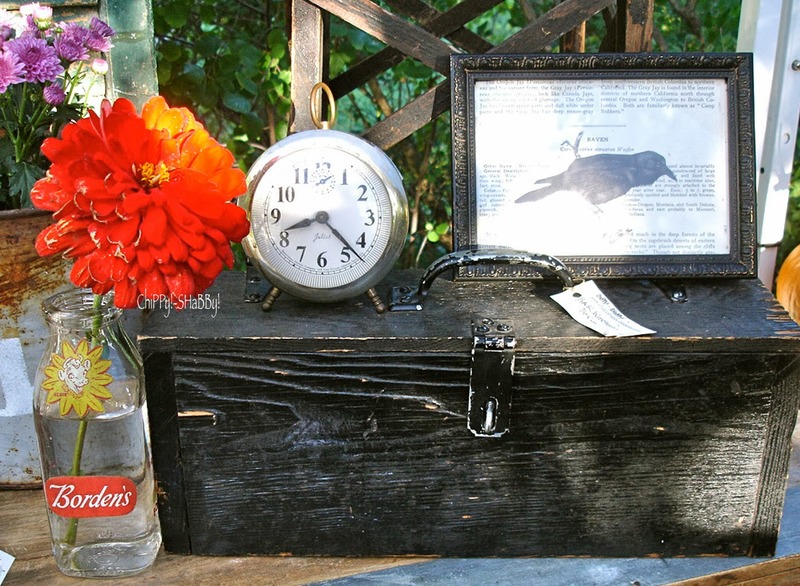 Time~Worn Primitive *PROP TABLE* with PuMPkiNs!*!*! 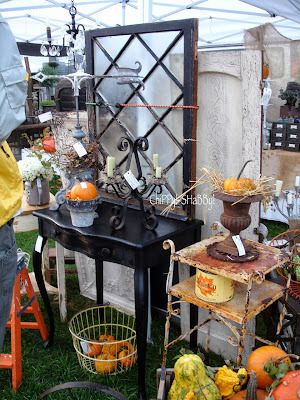 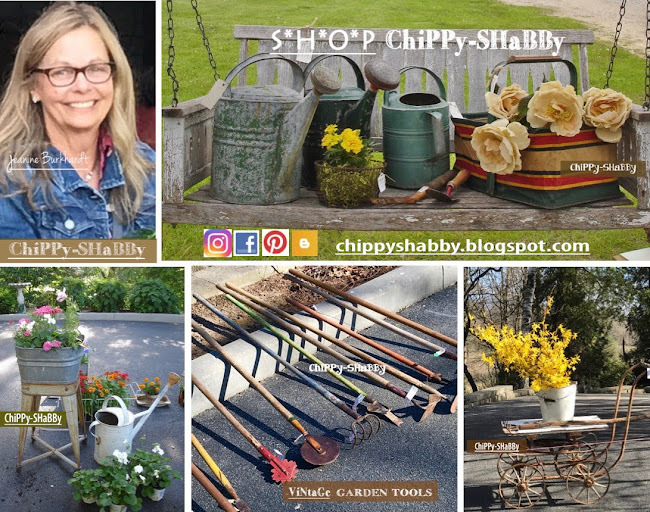 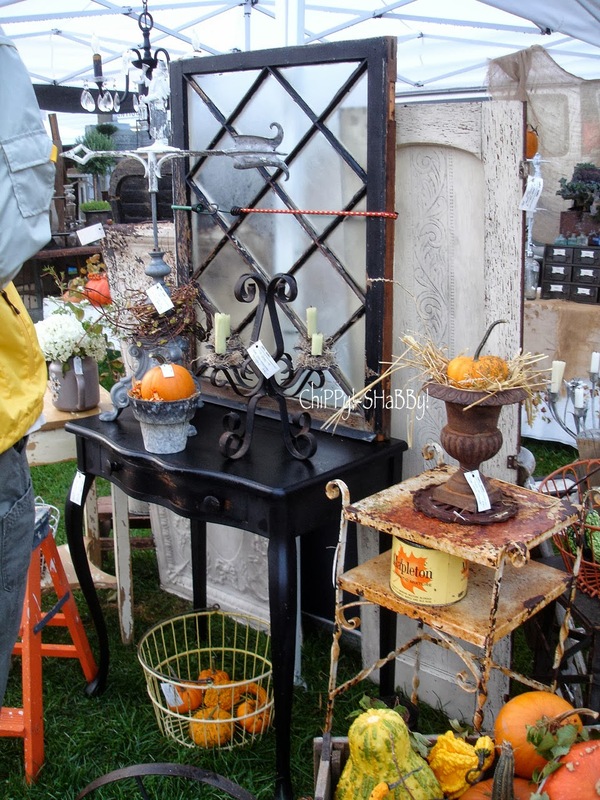 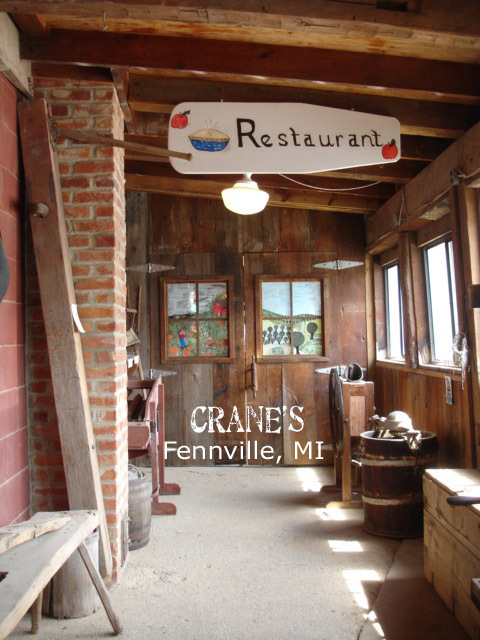 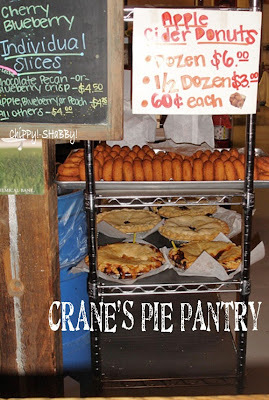 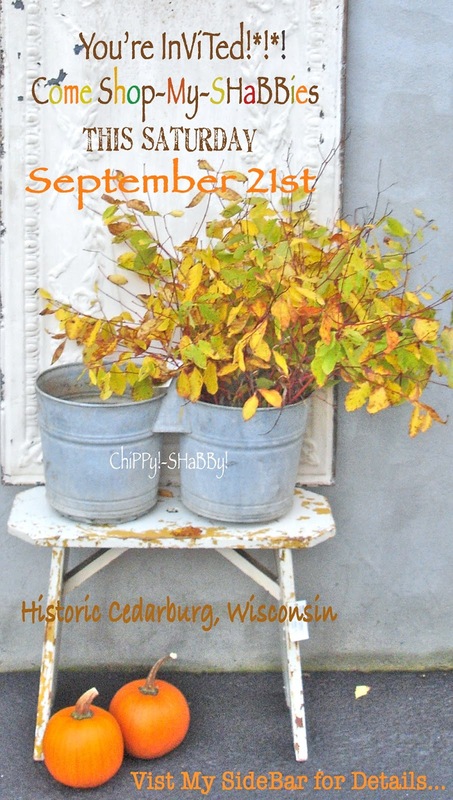 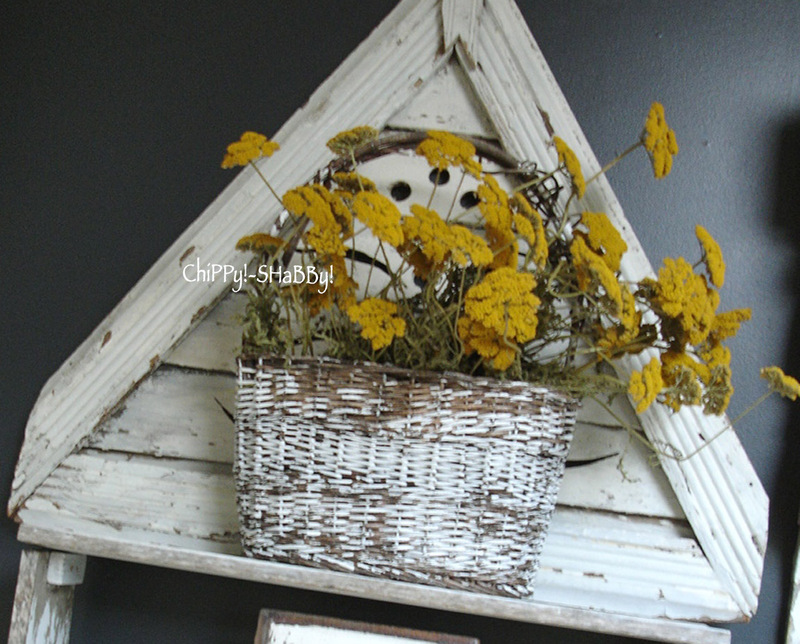 One of my SHaBBy-SHoPPing Stops this past weekend, was the Grayslakes Flea in Illinois... With time constraints, I flew through the market - and netted a FaB Primitive "Prop-Table" from Carla's Booth!*!*! 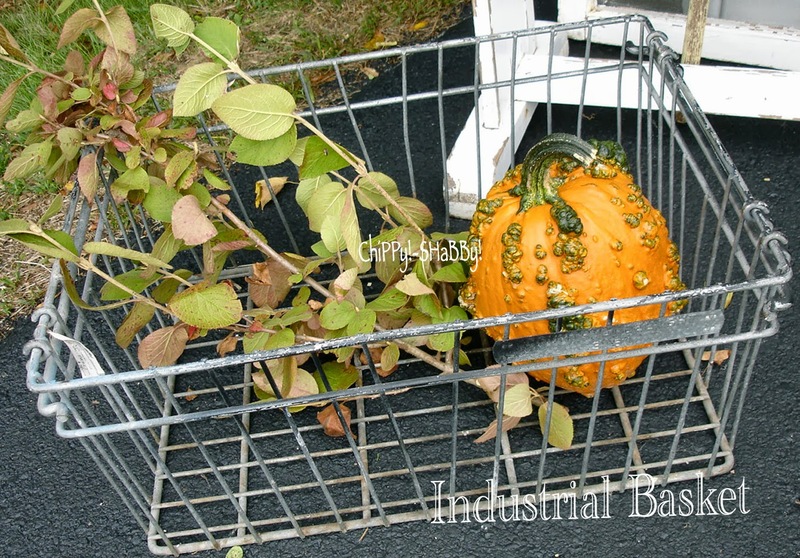 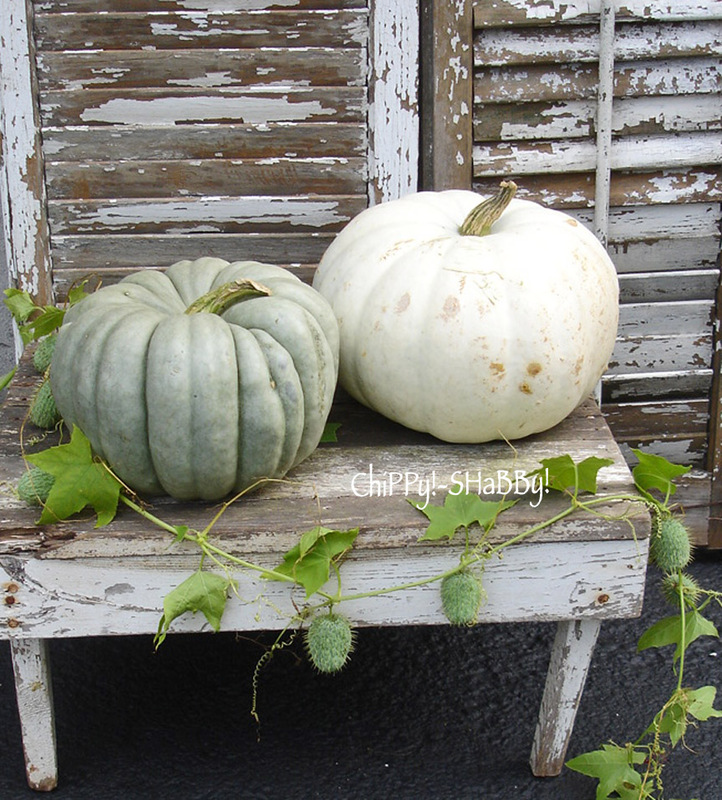 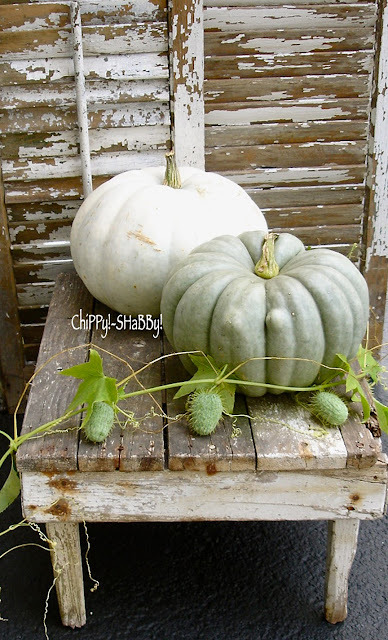 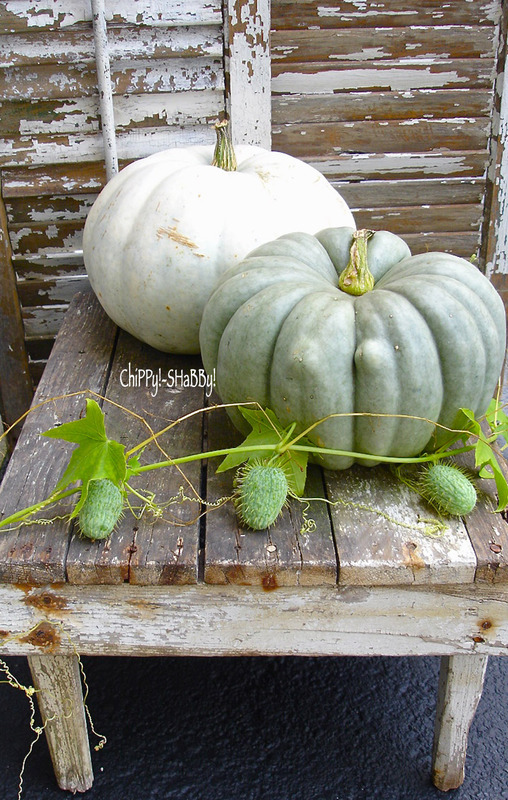 along with Greenish-Grey & White Pumpkins!*!*! Unfortunately the Vine's Life will be "Short-Lived"
actually soft to the touch!!! 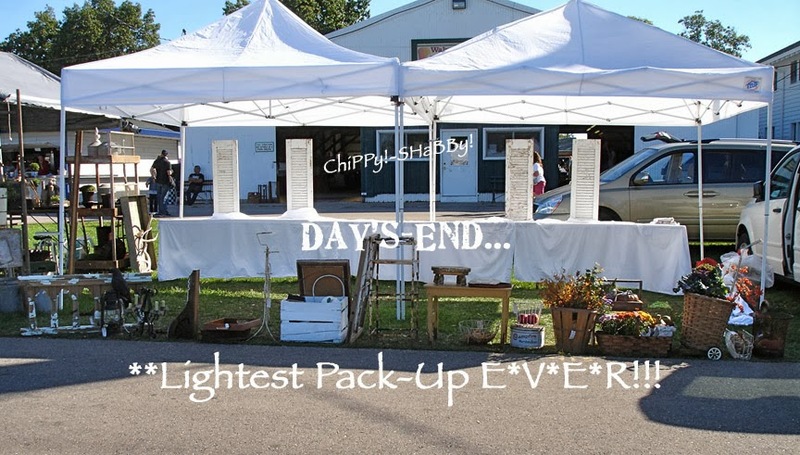 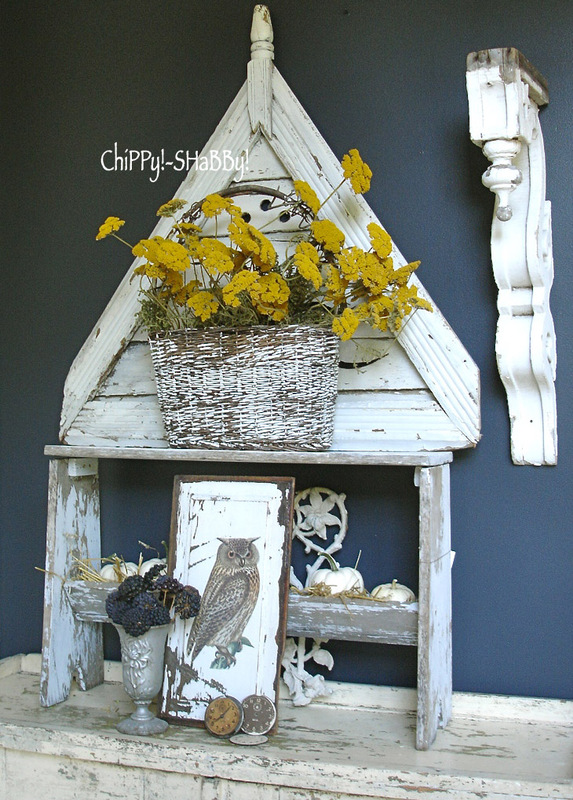 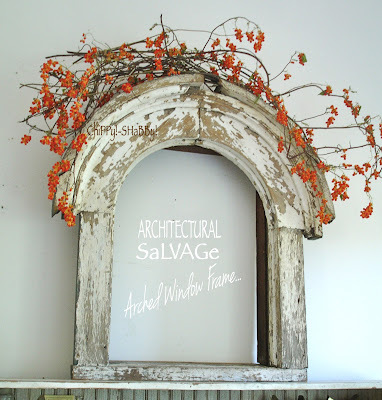 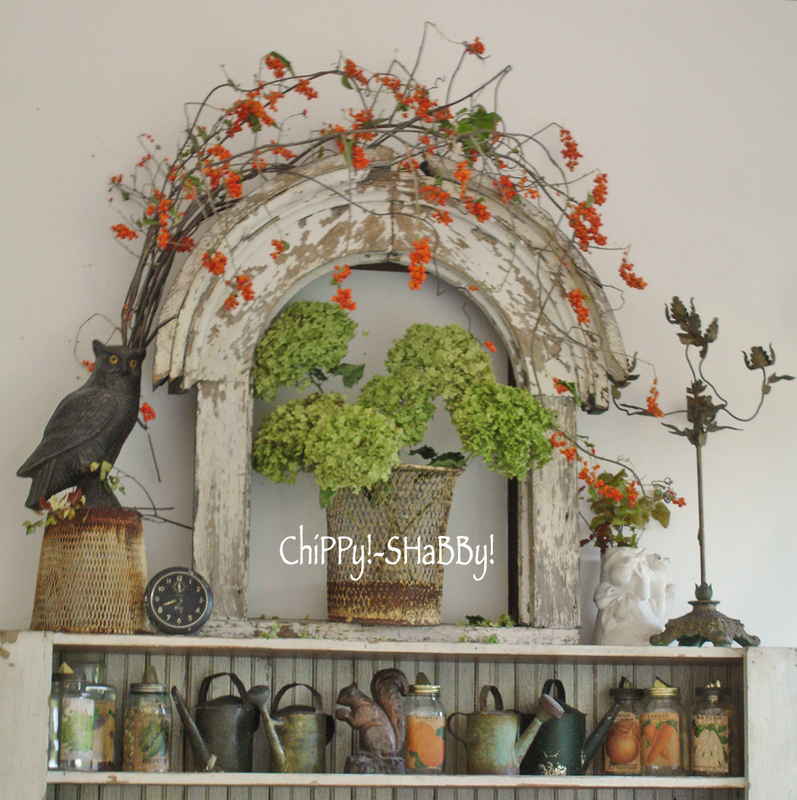 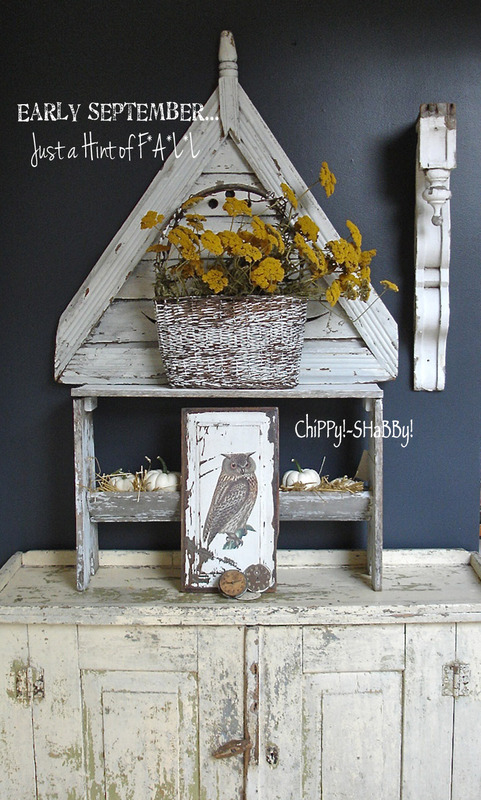 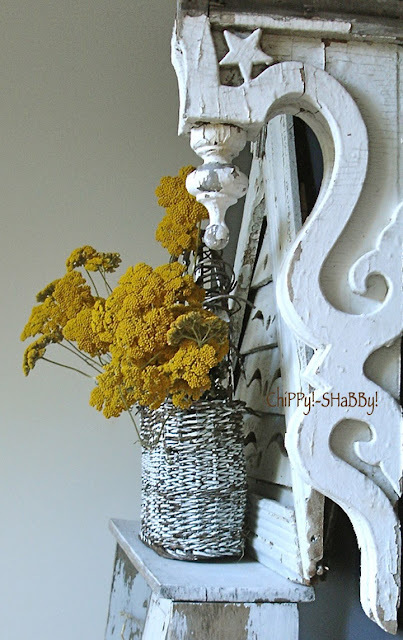 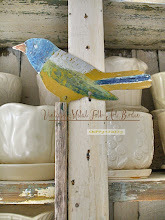 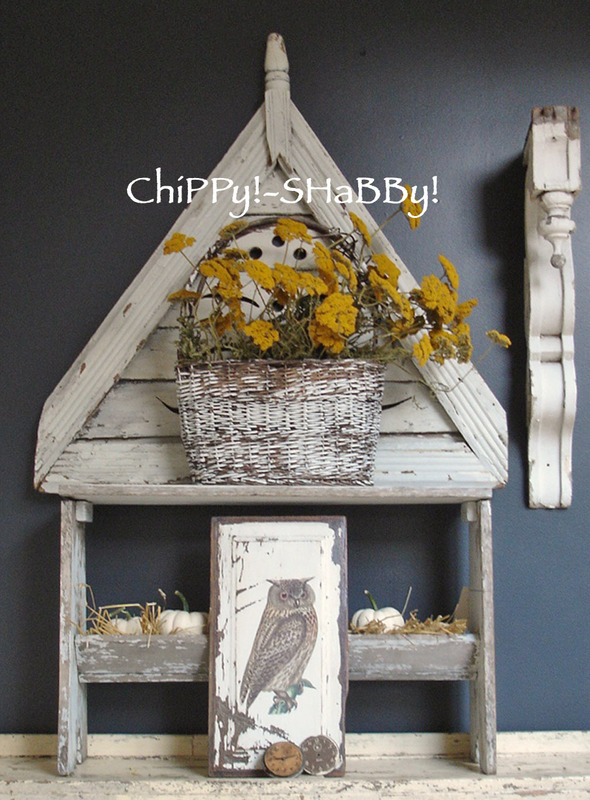 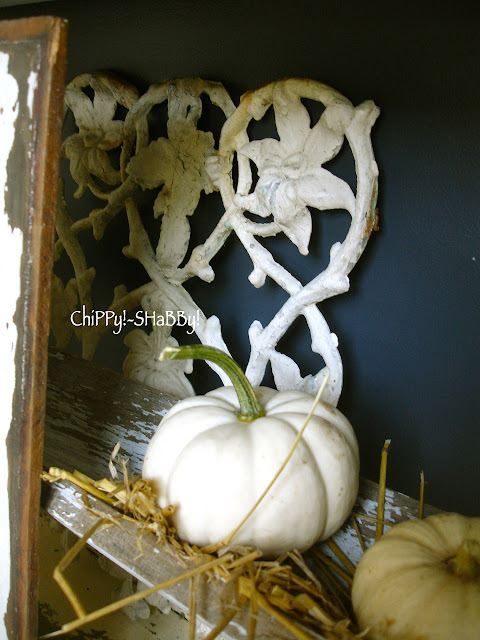 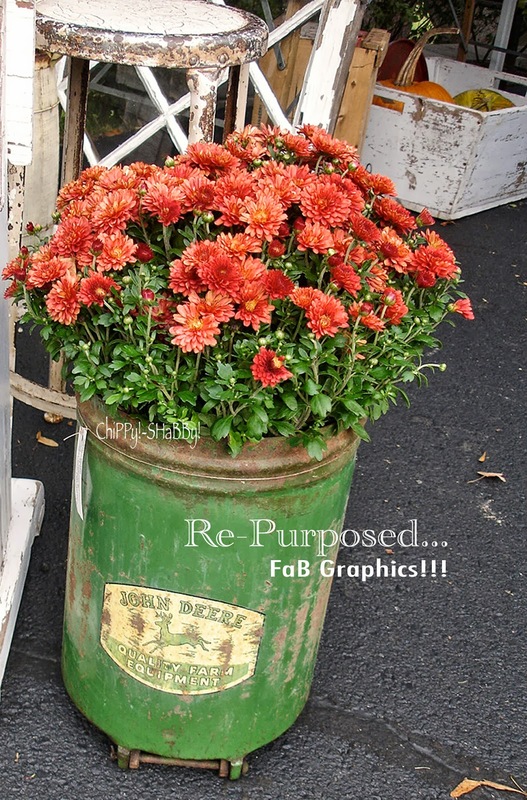 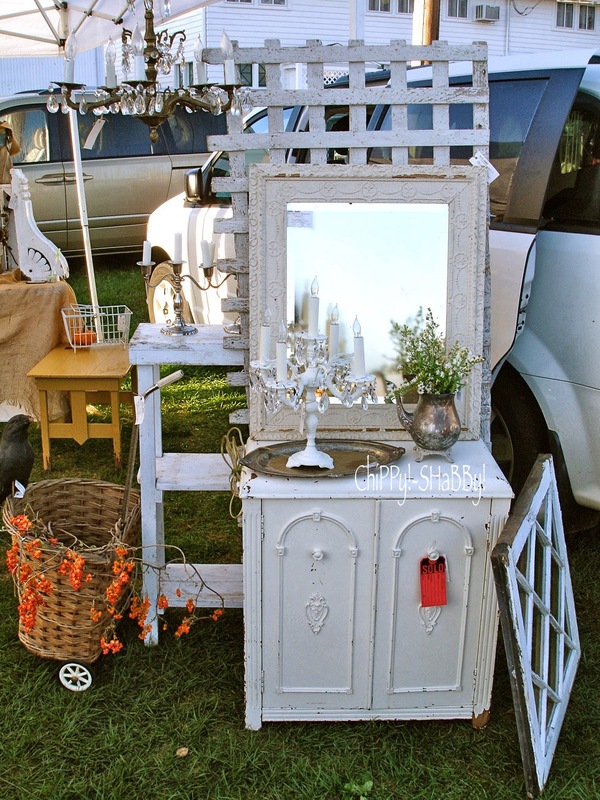 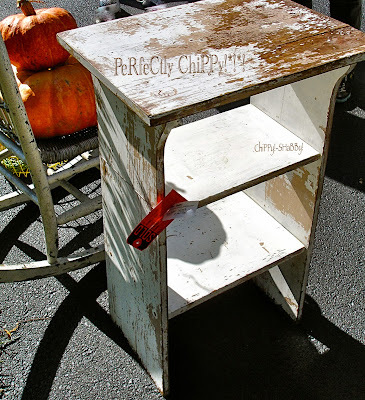 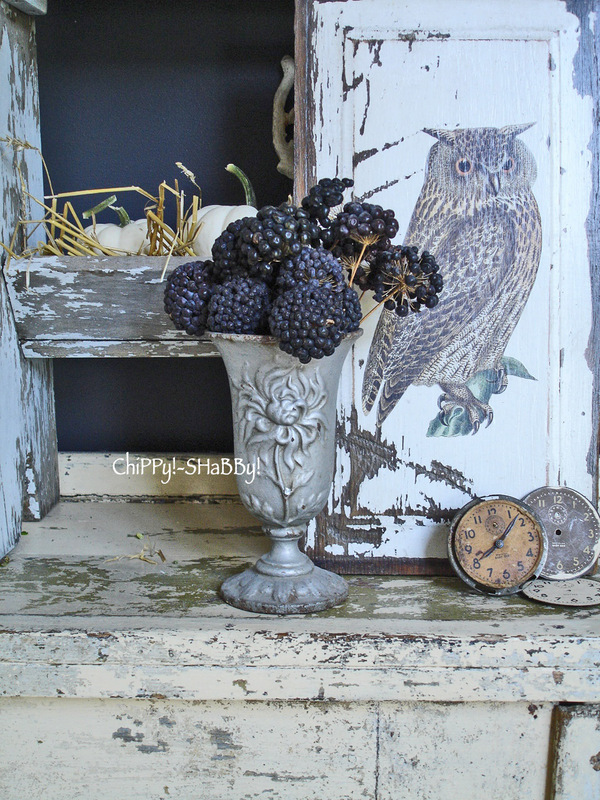 Early F*A*L*L ~ Entry Vignette ChiPPy!-SHaBBy! Style!*!*! 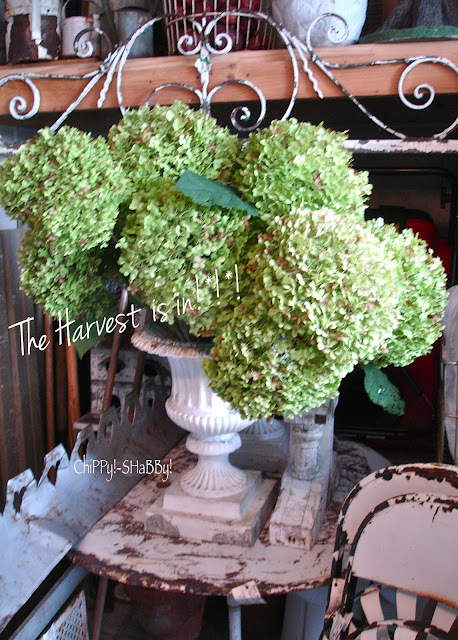 Lots of W*H*I*T*E with a hint of Harvest Yellow to make it POP!*!*! nooked lower shelf for display!*!*! "just tucked behind for a hint of interest"
It "warmed it up" just a bit!*! 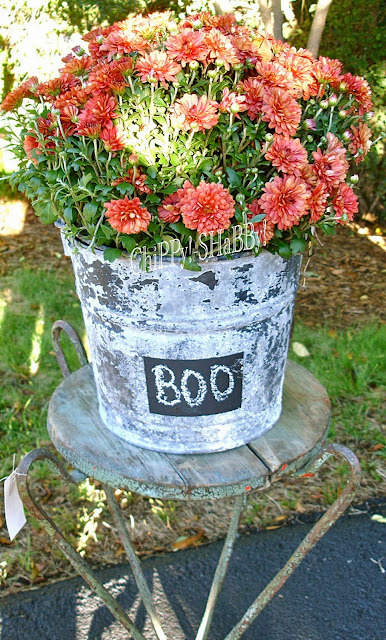 *!